The 10-time Emmy nominee amped up his award season charm while hosting the Tonys, but bigger isn’t better when the audience isn’t there to see you. Kevin Spacey can do a killer Jack Lemmon impression. He can even do a killer Jack Lemmon impression in conversation with a killer Walter Matthau impression, which can be really fun when Spacey inserts himself into the story. Obviously, Spacey and Lemmon worked together on “Glengarry Glen Ross,” which is not only why this hypothetical conversation makes sense, but why it’s got the added benefit of feeling like a privileged peek behind the curtain — a glimpse at what these three legends might have talked about. And suddenly, you’re thinking about Kevin Spacey in “Glengarry.” Even though Spacey is there — at the Netflix FYSee space in Los Angeles — to discuss the new season of his Netflix series, “House of Cards,” the audience of TV Academy voters are hearing stories about Lemmon, Matthau, and Peter O’Toole (who came to “nearly every” performance Spacey gave at the Old Vic). 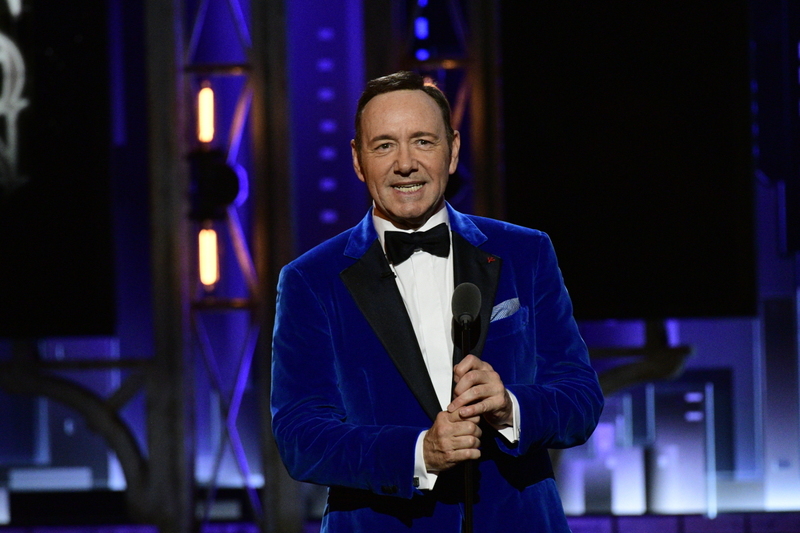 Sure, Spacey will tie in themes from his series — like his go-to Bill Clinton voice, which everyone saw at the Tony Awards Sunday night — but the evening isn’t just about Spacey’s work on the series. It’s about Spacey, the actor; the two-time Oscar winner; the star of stage and screen who’s worked with and been admired by icons of equal or greater stature. It’s a great campaign strategy, and one that plays well to a room full of voters who are very much there to see Spacey. But it hit a speed bump last night at the Tonys, when the elevated, dated callbacks turned off an audience there to honor other people. Now, it’s not fair to say Spacey treated the most prestigious night in theatre like a campaign stop for a television award. Yes, he busted out a “House of Cards” bit, but it was brief. Moreover, it was expected, which was both the solvent and the problem. The short bit worked well enough. Introduced as President Francis J. Underwood, Spacey walked out with co-stars Robin Wright and Michael Kelly beside him. He made a quick joke about Bette Midler, mimicking his direct-to-camera asides on the show, and quickly walked off the stage before the other “characters” could say a word. Considering that the latest season debuted less than two weeks prior, justifying the bit wasn’t an issue: Attention must be paid for both fans tuning in at home and the show’s star and producer. But it was far from revelatory comedy; nor did it fully showcase exactly what makes Spacey’s performance on the series so riveting. And much like “House of Cards” itself these days, the bit felt out of place. But the main reason none of this worked, especially if you haven’t seen it a dozen times before — as most of America has not — is that all the impressions were there for Spacey. These were bits that only existed because he was hosting. The host isn’t meant to steal the spotlight so much as he (or, in a dream world, she) should be highlighting the work nominated. The Tonys, after all, is an awards show. When you’re sitting in a theatre to watch “House of Cards” and hear Spacey talk about it, these kind of shenanigans feel innocent and fun. Even if he never talks about the new season or particulars of his performance, he’s an entertaining talent on stage. The night is about him. Let him have it. But whether you’re in the theatre or watching it from home, The Tonys are about honoring just that: the theatre. At worst, Sunday night felt like Spacey was campaigning for himself. At best, the only thing he lost was the room.